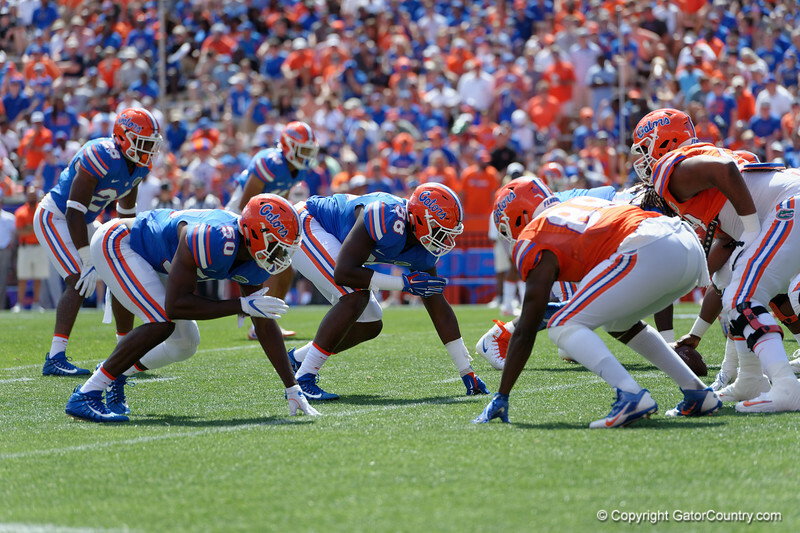 University of Florida Gators linebacker Jeremiah Moon and University of Florida Gators defensive lineman Luke Ancrum gets set as the Gators play their annual Orange and Blue Spring Game. April 14th, 2018. Gator Country photo by David Bowie.